Wes Moss was recently honored with a feature in Investment News 40 Under 40. A project created to illuminate the future of the financial advice industry by finding the top young talent in the field and sharing their stories with readers. Investment News sought nominations from the industry at large — who knows the next generation best — and asked which young colleagues exhibit the greatest accomplishment to date, contribution to the industry, leadership and promise. From close to 1,200 impassioned nominations, the Investment News editorial staff whittled the list to these 40 outstanding young people ready to take the financial advice industry into the next era. Wes Moss is a chief investment strategist with a large public following in Atlanta, thanks to his hosting duties on “Money Matters,” a long-running call-in investment and personal finance radio show on 95.5FM and AM 750 News Talk WSB. Mr. Moss’ media reach extends to writing a blog for AJC.com, the website of The Atlanta Journal-Constitution. 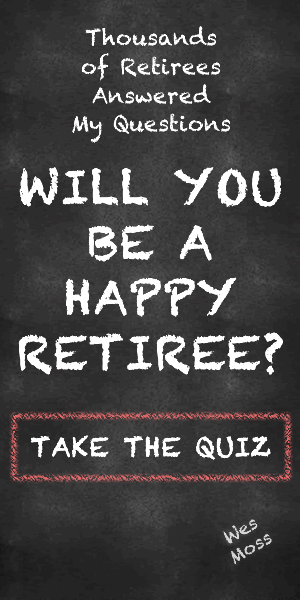 And his book “You Can Retire Sooner Than You Think,” just published June 1, is based on his research into the money secrets of the happiest retirees.